oh kale, the leafy green that everyone loves to hate. it’s diverse, healthy & doesn’t taste too bad. after all, it is just a vehicle for dressing or even butter. So, hop on board the kale salad train. i top this salad with chicken, fried tofu, even pineapple chicken meatballs. the recipe for the dressing makes a lot. trust me, you will want to put it on everything. i used veggies from the salad bar, so this can be made pretty quickly. 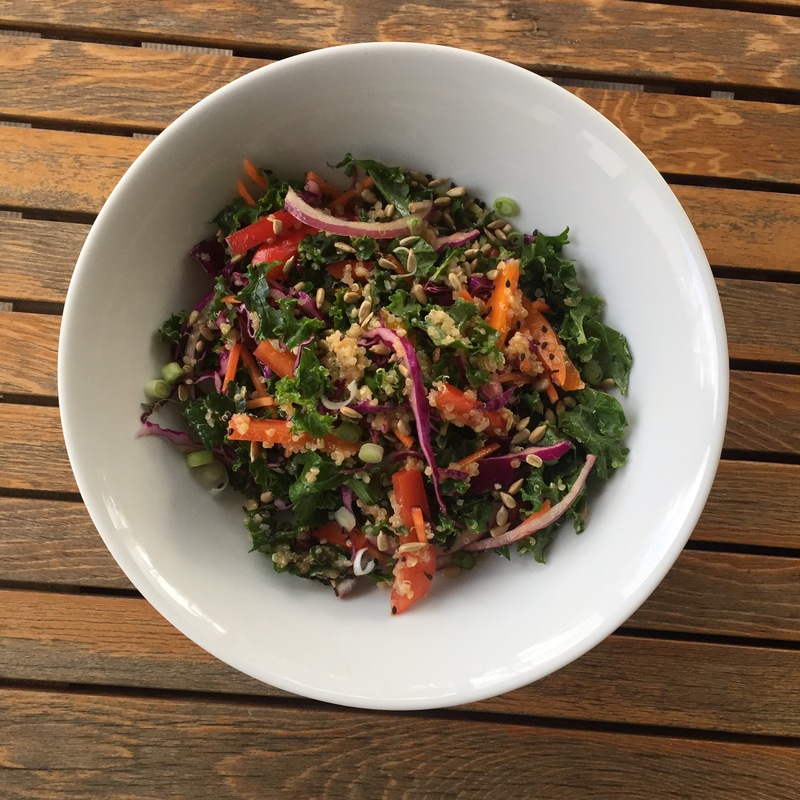 as long as you have the right measurement for the veggiees (excluding the kale), you can use whatever veggies you want.
. in large bowl combine first 6 ingredients of salad with dressing. the quinoa & kale vary for your adjustment for a more leafy or more quinoa packed meal.